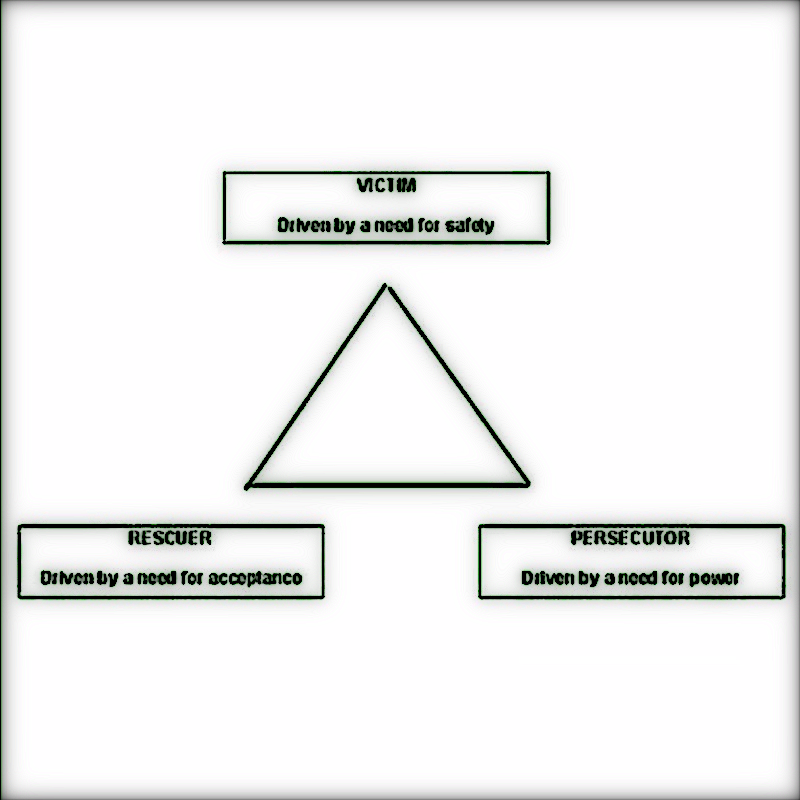 And it's time for you to think hard about the indispensable role of The Victim in the power dynamics between people in groups. Families. Clubs. Governments. Tribes. Wherever there are at least three people. You fit best in one of these three boxes on every level of functioning. You might be one and pretending to yourself and/or others that you are another, but, in the walking around world you are native to only one of these boxes. To stymie the will of the people, to get the power to make something happen, you set up scenarios that yield up the most vividly wronged victims. It doesn't have to actually happen. You just have to get it in everyone's minds that it happened... and let the rescuer types — say, conspiracy theorists against social justice warriors — cancel each other out fighting over it. love, nines ||| psychopaths | what do you call the world?